Looking out from Paul Moravec’s studio at the American Academy in Rome. 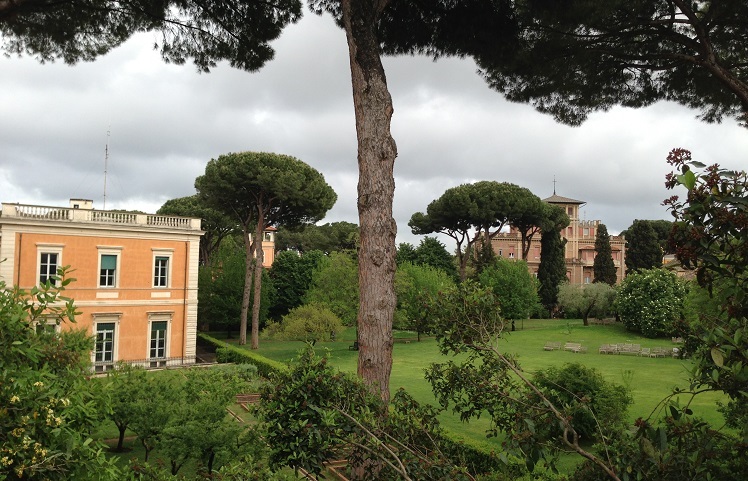 Well, that’s what Paul Moravec is doing this spring as he serves a composer-residency at the American Academy in Rome. Founded in 1894, the organization supports innovative artists of the fine arts and humanities by fostering creative work in an atmosphere conducive to intellectual and artistic freedom, interdisciplinary exchange, and innovation. While there, Moravec will be working on several projects, including two new operas. A few days after his arrival, Moravec sent along this photo and wrote, “Here’s the view from my studio.” Now tell us…after looking at this view, who wouldn’t be inspired! More Moravec news: Moravec was also recently awarded a 2013 Guggenheim Foundation Fellowship! 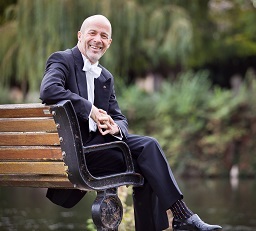 And, pianist Anthony De Mare continues his Liaisons Project-commission tour to the Virginia Arts Festival where he’ll perform Moravec’s I Think About You. For more Shakuhachi Concerto premiere details, click here. Read more about Paul Moravec.